This project is a result of one of those 'AH HA' moments. I was using rick rack to embellish a bag and thought it'd be cute to roll up the rick rack for little roses. Then came the "OH RINGS" and "OH NECKLACES" and "OH PINS!" So, there's a lot you can make from this rick rack tutorial. Not just the rings! 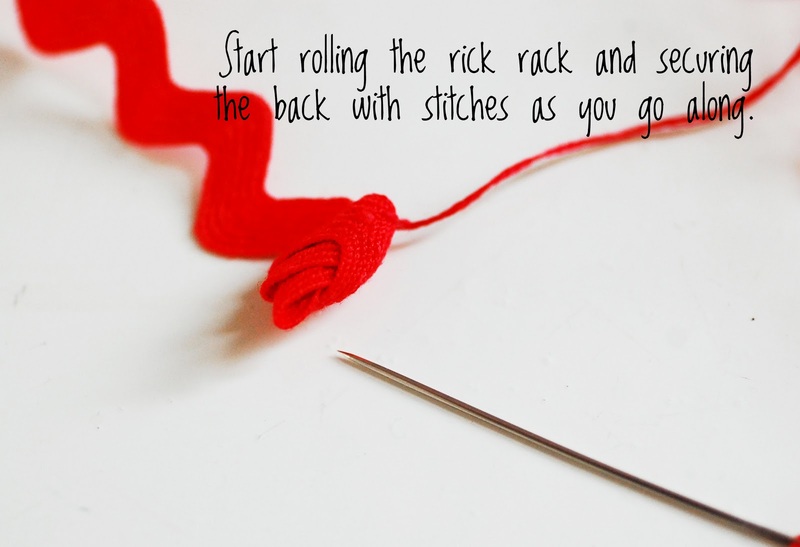 And don't forget the glue even though it's not in the picture! Start by folding over one end of the rick rack and securing it with a stitch. Roll the rick rack into a shape of a flower and secure the bottom portion with stitches. 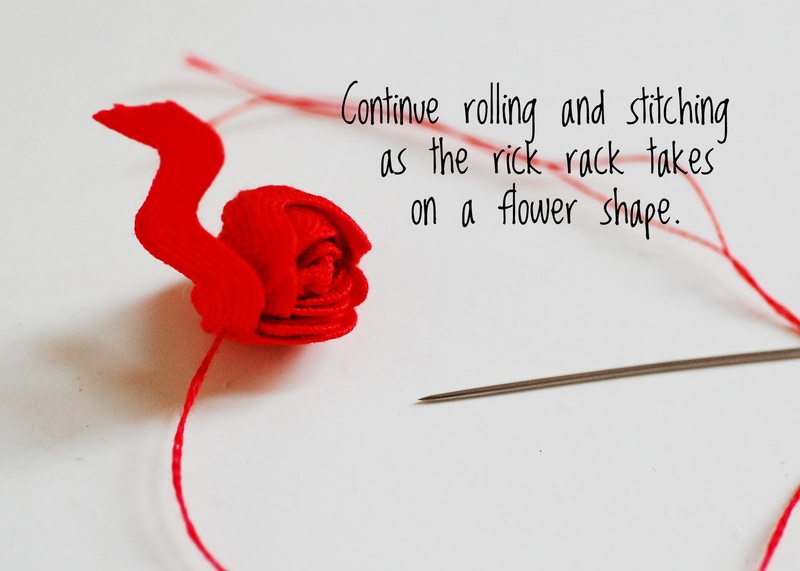 Continue rolling the rick rack and securing with stitches to the back as it takes on a flower shape. When your flower is big enough to fit on the ring shank, cut the rick rack, fold it over to the back and secure with a few stitches. 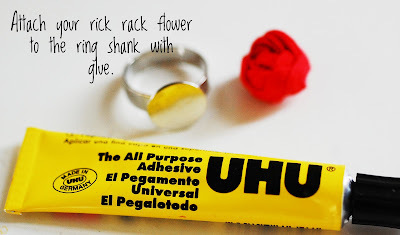 Attach the rick rack flower to the ring shank. I use UHU because it grabs and dries quickly. 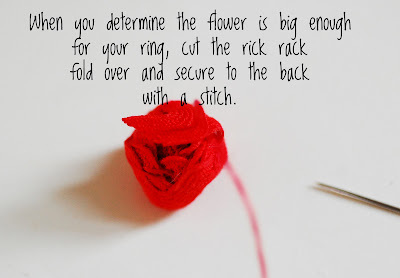 Make sure to push down the flower on the ring shank securely. 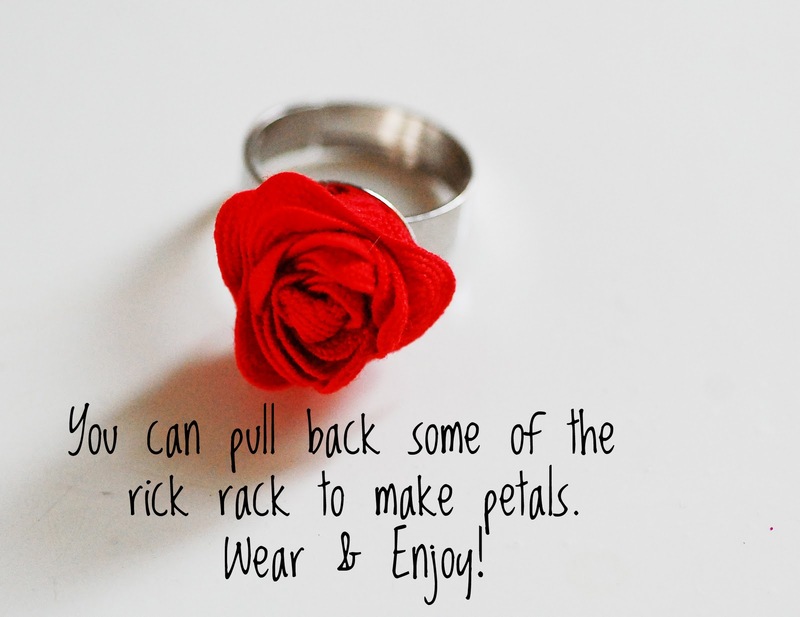 Pull back a few portions of the rick rack to make petals. I will definitely be making some of these in the near future! Those rings are so cute!! 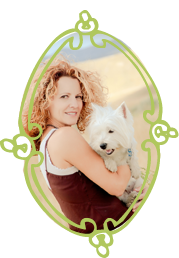 You really are talented and your blog is awesome! 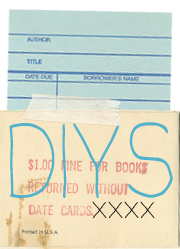 I've added your link on my sidebar so I can always see when you have a new post and to share with my readers. Thank you for an adorable tutorial! Can't wait to try this for my 7 year old! Thank you for the adorable tutorial! I can not wait to try this with my 7 year old! I never would have thought to do this - genius! 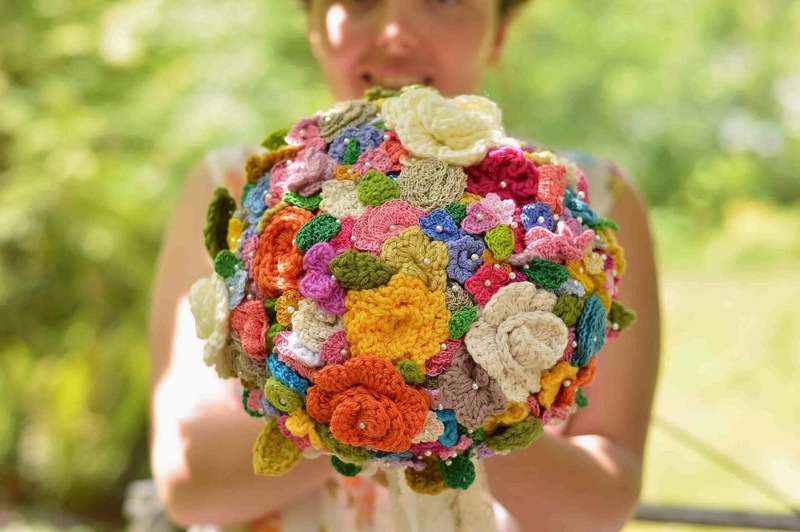 So very creative and the perfect accessory! I can't wait to try this. Now if only the color I'm hoping for is available at the local store. Thank you! Soooooo cute. I'm thinking they'd make adorable hair clips or batteries for my 4 year old granddaughter who loves anything "fancy." What a fabulous idea and beautiful execution! That is so dang cute! Wish I had thought of it! I found you through Craft.com. TRIMtastic! 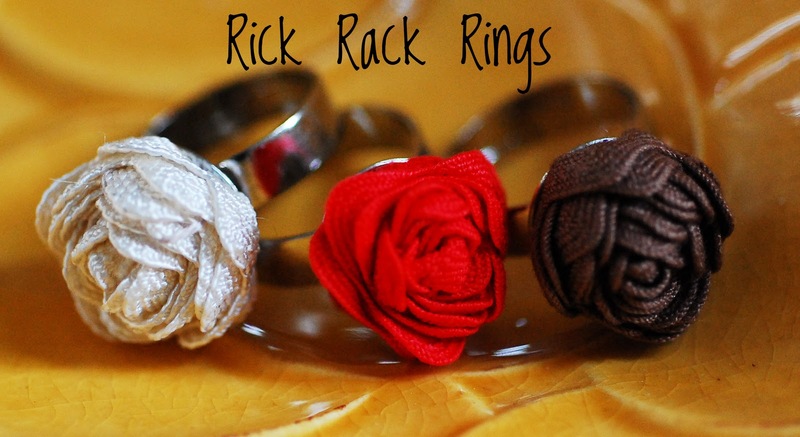 I love EVERYTHING rick rack! Cute idea, it looks great :D Thanks for sharing ! Hi! 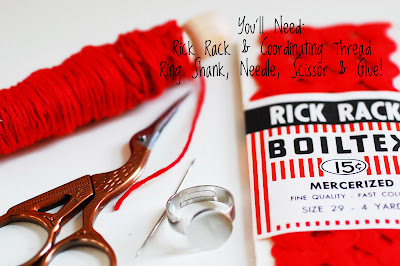 I found your cute blog via Stumble Upon..and I LOVE this cute tutorial!!! 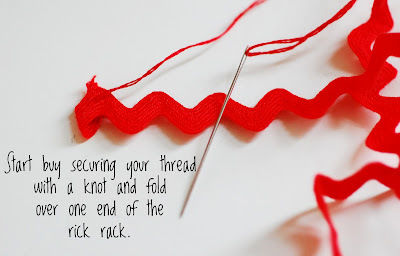 Would you be interested in guest posting this tutorial on my craft blog? I'd love to have you! I got some rick rack given to me but it's not flower color. Still might be fun to make a flower with a Christmas pattern on it. Never mind it's bias tape but I know I have blue rick rack. Have any ideas for bias tape?